Access to and use of this website are subject to the following conditions. Please do not use this website unless you agree with these conditions. This website has been developed by DIANA Project, and is administrated by the same. We reserve the right to discontinue or to make partial or complete modifications to this website or to the Conditions of Use. Please note that we may make such changes at our own discretion and without prior announcement. We must therefore ask you, next time you visit this website, to view the conditions again and to note any changes or amendments that may have been made. All details, documents and illustrations published on this website are the sole property of DIANA, and they are protected by intellectual property laws and industrial. They may not carry out acts of reproduction, modification, distribution or public communication of the website or any of its elements without the prior written consent of DIANA. Users of the website may only make private and personal use of the contents of it. It is absolutely forbidden to use the website or any of its elements for commercial or illegal purposes. DIANA not assume any liability arising the use by others of the content of the website and may exercise all civil or criminal actions that apply to infringements of these rights by the user. In order to improve the performance of the website, DIANA reserves the right at any time and without notice to the user, to modify , extend or suspend the presentation, configuration , technical specifications and website services , unilaterally. It also reserves the right to modify at any time these conditions of use and any other particular conditions. DIANA has compiled the detailed information provided on this website from internal and external sources to the best of its knowledge and belief, using professional diligence. We endeavour to expand and update this range of information on an ongoing basis. The information on this website is purely for the purpose of presenting DIANA and its services. However, no representation is made or warranty given, either expressly or tacitly, for the completeness or correctness of the information on this website. Please be aware that this information although accurate on the day it was published may no longer be up to date. We therefore recommend that you check any information you obtain from this website prior to using it in whatever form. Users of this website declare that they agree to access the website and its content at their own risk. To the extent permitted by law, neither DIANA nor third parties involved in the writing, production or transmission of this website can be held liable for damage or injury resulting from access or the impossibility of access or from the use or impossibility of use of this website or from the fact that you have relied on information given on this website. This does not affect our liability for death or personal injury arising from our negligence, nor our liability for fraudulent misrepresentation or misrepresentation as to a fundamental matter, nor any other liability which cannot be excluded or limited under applicable law. This website contains links/references to third-party websites. By providing such links, DIANA does not give its approval to their contents. Neither does DIANA accept any responsibility for the availability or the contents of such websites or any liability for damage or injury resulting from the use of such contents, of whatever form. DIANA offers no guarantee that pages linked to provide information of consistent quality. Links to other websites are provided to website users merely for the sake of convenience. Users access such websites at their own risk. The choice of links should in no way restrict users to the linked pages. By the mere fact of visiting the Web site is not automatically register any personal data identifying the user. 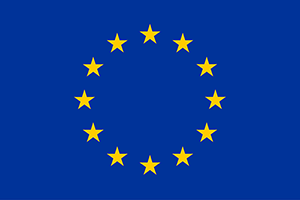 However, DIANA informs users, in accordance with However, DIANA informs users, in accordance with “REGULATION (EU) 2016/679 OF THE EUROPEAN PARLIAMENT And OF THE COUNCIL on April 27 of 2016 relating to the protection of the physical persons regarding personal data processing and the free circulation of these data, with entrance in force the day May 25 of 2018, hereinafter, GDPR”, that access to certain services DIANA User may collect personal data that will be included in a file of its property for the purposes determined in each case. Similarly DIANA inform the user of the mandatory or optional, as appropriate, of the data requested and if the consequences of providing or refusing to provide. The User guarantees the accuracy of the data provided and undertake to keep them updated. DIANA guarantees that it has taken appropriate security measures in accordance with the provisions GDPR.